The online shopping trend is becoming very popular among the women. Most of the women are using this style of shopping, who are very busy and they do not have ample time to go to the market or the women, who do not like to go to bazaar due to great rush or they feel hesitation in bargaining. 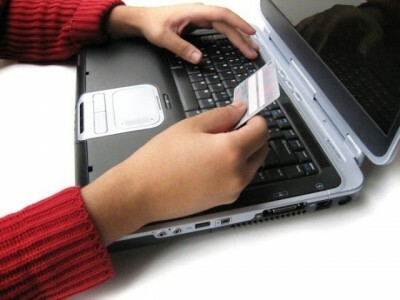 Due to online shopping, the women feel comfort to buy the products but they can also face the cheating. Sometimes, it is happened that they like something online but after opening the parcel, they will get the thing, which is not they ordered. Then they cannot use this product or they can return it back to the businessman and get their amount. It is the matter of common sense that you should do online shopping with great care, so that you do not get loss. It is not necessary that everything, which is bought online, it is bad, there are many websites, which are trustworthy and they provide the products according to the order. Some women said that they did not face any problem in the shopping of other things but they face issues when they buy the shoes. They do not know how to place order for the shoes of their size. These women do not need to worry as they can get detailed information present on the website. They need to look for the chart and get the complete details of the size of their shoes. All of the companies do not have the same size of the shoes. If some women get the size 6 of a shoe but it is changed in other companies. It is easy for them to place order of the shoes by making contact on the helpline given on the website and tell them about the size of their shoe. They will guide you properly and try to buy the products from that website, which will help you to replace the shoes or get it return if you do not like the footwear or the size of the shoes is smaller or bigger. Sometimes, when the women receive parcel, they place it anywhere and they get busy in household tasks. After many days, they check the parcel and till that time the date to replace the shoes or return to company is lapsed, which is given according to the policy of the website. The women should take great care, when they receive the parcel, they should check the date of the change of product, given on the parcel so that they can get it replace with comfort. The women should also check the size of the heels of the shoes and after getting satisfied with everything, they should place order to buy the shoes. If they want to buy the shoes of new design, it is better they should not buy online. It is not necessary that the shoes looking excellent in the pictures might be good when they buy. They should select the comfort and cozy shoes so that they can walk easily. They should buy only one pair when they place order online. If they like the shoes, then they should place orders for other shoes and they should also bargain with them with care. Most of the online companies receive the prices of the shoes and product through credit card but it is better that they should buy the products from those websites, when they receive the products and they have to pay the price of the product. When you buy the products online, you should get information from other people, who buy such things online from such websites.